Orchestrate Orthodontic Technologies (O3D), a Californian dental digital solutions provider, has received U.S. Food and Drug Administration (FDA) 510(k) clearance for its Orchestrate 3D Treatment Planning Software System, which includes 3D printing and clear aligner fabrication. “There is no question that 3D printing is rapidly changing the field of orthodontics,” said Todd Ehrler, DDS, MS, founder, Orchestrate Orthodontic Technologies. The Orchestrate 3D Treatment Planning Software System. Image via O3D. Founded in 2007, O3D is formed from experienced orthodontics adapting new technologies specifically for dentistry. On its journey to develop an advanced “in office” 3D digital orthodontic system, the company partnered with EnvisionTEC, a global 3D printer, and materials manufacture. In the past five years, O3D tested and researched the 3D scanners, software, and 3D printers to integrate into the Orchestrate 3D Treatment Planning Software System. 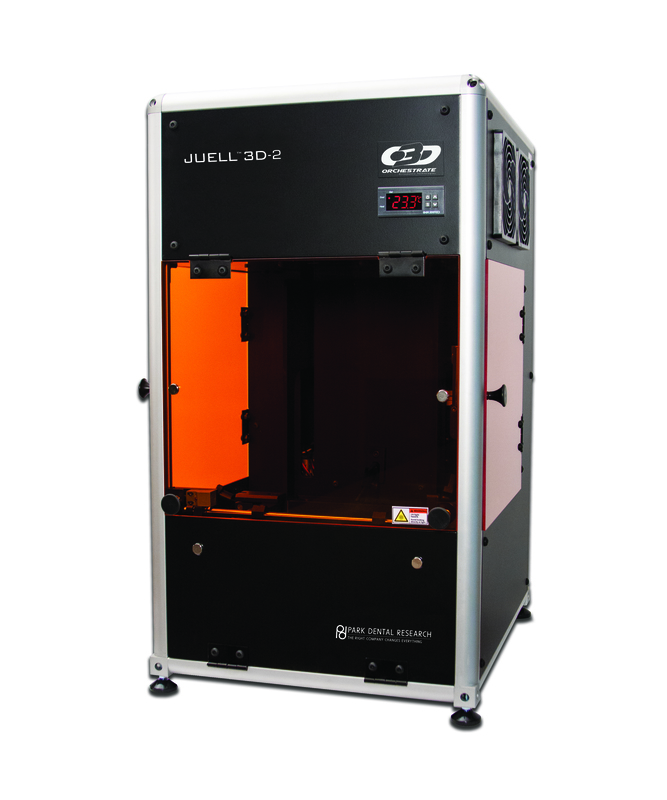 As such, O3D partnered with Park Dental Research in New York to produce its own dental SLA 3D printer, the Juell O3D-2. The 510(K)clearance now enables dental professionals in the U.S. to use the Orchestrate 3D Treatment Planning Software System to design and produce their own orthodontic clear aligner appliances. The Juell O3D-2 printer is capable of producing orthodontic aligners, guides and castable parts for a fraction of what it would cost to outsource. Photo via O3D. The software suite is capable of case analysis, setup and staging, and exporting to print for production for clear aligners. Some of the functions include analysis of overjet/overbite, collision detection, occlusion, and spaces. 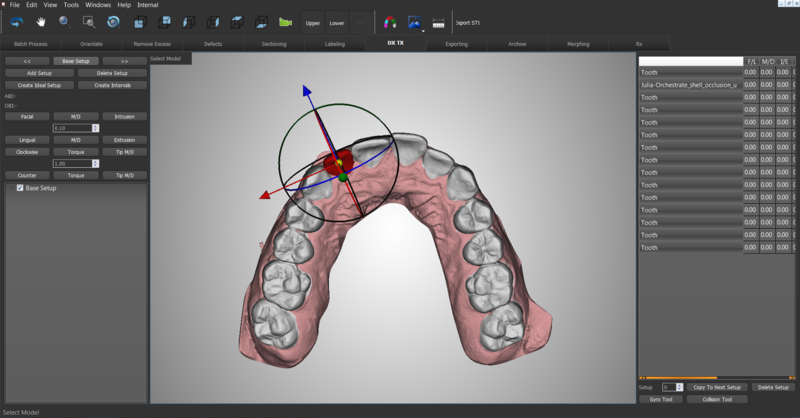 Following the case analysis, virtual setups are created and subdivided into the clear aligner stages needed. When planning is complete, sub-setups can be prepared for additive manufacturing. Furthermore, the software is open, allowing users to decide how much of the workflow they want to do in-house or from production partners. Additionally, the treatment planning and simulations can be shared onscreen with patients, the dental practice and lab, via am online web viewer. Advanced diagnosis of a 3D dental scan orthodontic appliance design. Image via O3D. Additive manufacturing in the dental sector has been present throughout the past few years. In 2018, Carbon, the Silicon Valley-based company behind Digital Light Synthesis (DLS) 3D printing technology, released its 3D printable DENTCA resins with approval from the FDA. In a related manner, Stratasys began with working with leading U.S. and Spanish orthodontics research labs, Dynaflex and Ortoplus, to advance the large-scale production of clear aligner molds with the Stratasys J700 Dental 3D Printer. Similarly, EnvisonTEC announced its FDA approved E-Denture material for 3D printing dentures. Remember, nominations for the 3D Printing Industry Awards 2019 are open. Let us know the medical enterprises, technology and individuals leading the additive manufacturing sector. For more updates on Vader Systems acquisition by Xerox, subscribe to the 3D Printing Industry newsletter, follow us on Twitter and like us on Facebook. Featured image shows a 3D dental scan. Image via O3D.